Now this number was showing 44MB before I ran Windows Defrag tool but now is 0MB meaning you cannot shrink the drive at all (not even by 1MB!) 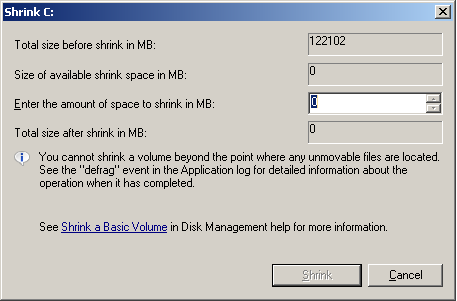 In Windows Explorer, internal hard drive was showing 120GB in size with roughly 60GB free so there was plenty of free disk space available in order to re-size the partitions. 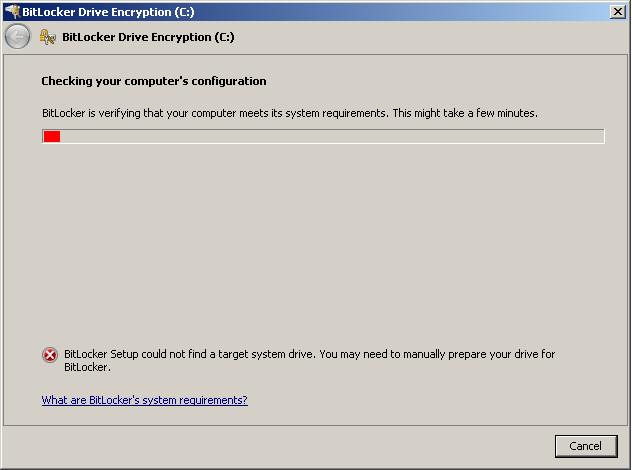 After this I re-run BitLocker drive encryption wizard and all was happy again! Side note – trying to manually prep the drive using bdehdcfg i.e. bdehdcfg -target c: shrink -size 300 -quiet -restart was not working too. 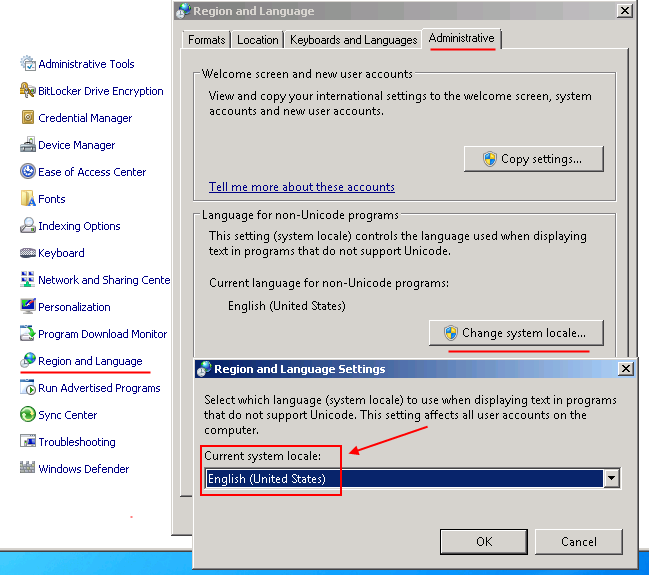 This entry was posted in ConfigMgr, Microsoft, Windows and tagged bitlocker, configmgr, drive encryption, windows 7 on May 16, 2014 by Adrian Kielbowicz. This entry was posted in Microsoft, Support, Windows and tagged group policy, non-Unicode, registry, system locale, windows 7 on December 6, 2013 by Adrian Kielbowicz.